How to tackle this made-up shopping holiday like a boss. The most hyped-up sales event of the summer is upon us. We're talking Amazon Prime Day, a mega-shopping event designed to attract and retain Prime members. This year marks the third anniversary, and though Amazon has yet to release the actual date, insiders are guessing it'll land on Tuesday, July 11. If history has taught us anything, it's that the Prime Day deals are a mixed bag. The inaugural event turned out to be a big letdown, offering mediocre deals on seemingly random products. But last year was an improvement, serving up some pretty noteworthy deals. There were even steeper discounts for those who ordered via Alexa-enabled devices — like 43% off the Fire HD 10 Tablet, which is why we definitely recommend checking out Alexa-specific deals again this year. So what can we expect in 2017? 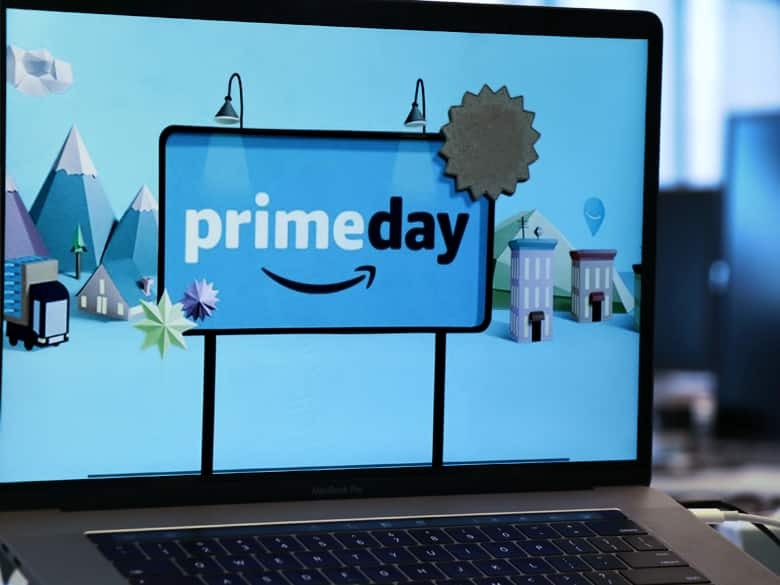 We'll be spotlighting all the best Amazon Prime Day deals here. In the meantime, we tapped renowned deal expert Matt Granite for some insider shopping tips. "Prime Day is sort of like Black Friday: you need a plan," Granite tells Slickdeals. "People who just sit there and wait for Amazon to spoon-feed them the best deals will have a horrendous experience. The people who attack it with a plan will have an experience where they're actually saving more and getting better items than Black Friday or Cyber Monday." That said, here are the deals to watch out for. A lot of retailers that sell on Amazon reduce prices ahead of Prime Day. "Many of them actually start 48 to 72 hours early because dropping their prices improves their rankings. The more people buying a specific item, the higher their items rank," says Granite. In other words, you can snag some great deals on items that Amazon may not be promoting. Following your favorite brands on social media and keeping an eye on individual sellers you like can give you a leg up here. Amazon Products: Amazon's in-house devices will all be marked down this Prime Day. Last year, shoppers snagged $50 off the Echo, $30 off Fire TV and Kindle Paperwhite, and $15 off the Fire TV Stick. Granite says we can expect more of the same across all Amazon-branded products. "We're also going to see more pushes and incentives tied to the Prime phones — those are the reduced phones for Prime members," adds Granite. "There's really a lot of attention to pressure the shopper into becoming a Prime member if he or she isn't one already." Non-members can take advantage of Prime Day by signing up for a free trial, then cancelling within a month. Students are also eligible for Prime membership at half the price ($50), plus the first six months are free. Home Tech: Granite says the biggest price drops will be in this category. "Last year was all about personal tech and things that you could carry on you. This year is about outfitting the home and making your home smarter." He expects items like smart light bulbs and Google Wifi systems to drop by 30% to 45%. Drones: Because these weren't top sellers on Black Friday, experts predict that the warmer summer months will have them in higher demand. "Some of the bigger, large-scale drones are actually going to be a phenomenon this Prime Day," says Granite. "We're going to see prices that are taking the $200 models down to at least $100." Bluetooth Headphones: Granite says we can expect some pretty good deals in this department. "Keep an eye on one of the best-selling brands Treblab, which is already testing out Prime Day price points now," he shares. This model, for example, is currently selling for $25.97, down from $40 a few months back. Power Banks: "It's also the year of the power bank, which is something the market is completely oversaturated with," says Granite. "Brands like OLALA are going to be reducing all of their items more toward a clearance approach than a sale approach because they're looking to deplete stock, some of which just didn't sell on Black Friday." That means a lot of brands are going to be beating their Black Friday prices here. Home Surveillance: Granite says we can expect huge price drops on everything from surveillance cameras to motions sensor lights. "One brand to keep an eye on is Pannovo. Some of their deals are going to get you a fully loaded camera for like $66, which is down quite a bit from $100 or so." Action Cams: If a GoPro doesn't fit into your budget, keep your eyes peeled for off-brand competitors. Granite says many will be clearing stock this Prime Day. "We're talking brands that replicate every feature of the $400 GoPros; so waterproof, 4K, WiFi for $59." App-Controlled Treadmills: The fitness deals on Black Friday are nothing to write home about, but Prime Day is a different story. "A lot of app-controlled treadmills will be playing with their prices like you wouldn't believe! Some of those $1,000 or $1,200 models will be like $500 or $600, and that's a guarantee," says Granite, who suggests starting with a simple search on the homepage. Tech for Your Car: "Last year we saw 40% off smartphone home accessories. This year we're going to see the same thing, but tied to brands that do that for your car," Granite shares. Keep your ear to the ground for Bluetooth adaptors, dashboard cams, mounts and the like. "Anything that has the word 'car' in it is going to be a phenomenon this year." TVs(? ): We put a question mark here because of stock concerns: there will likely be some good TV deals, but snagging one might be difficult. That said, last year's Prime Day boasted Samsung Curved 55-inch 4K Ultra HD Smart TVs for $649.99 and 43-inch 4K Ultra HD Smart LED TVs for $299.99. For this year, Granite says it's something you'll have to keep checking for. "Amazon will have very specific flash sales tied to televisions; that's where they create a lot of their momentum," he says. "But stock will be limited on some of these items. If you can pick one of the Amazon-hosted television flash sales, you'll do really well. It's not the overall best day to score a TV deal, but if it's the right hour/right time and you're in front of your computer, you'll get one." Grills: While grill-related accessories will likely see big price reductions, Granite suggests holding off on buying an actual grill. "Keep in mind that Prime Day happens after the 4th of July. If you can wait until Labor Day, you'll save an additional 35%." Back-to-School Stuff: The best deals here will generally spring up the last week of July into the first three weeks of August. "If you start seeing Prime Day backpack offerings, I'd caution people to wait," says Granite. Are you planning on shopping on Prime Day or just sitting this one out? Is there anything you're hoping to see on sale? Let us know in the comments!